Jackie Chan as Quan and Pierce Brosnan as Hennessy in hotel suite in THE FOREIGNER. It's a shame that American audiences mostly know Jackie Chan from comedic films like Shanghai Noon and Rush Hour, because Chan is actually a gifted dramatic actor and an incredible martial artist. The English-language films in which he has starred haven't historically given him a chance to explore his more serious side, so to see him return from semi-retirement from action films is something of a treat. Unfortunately, the film in question, Martin Campbell's The Foreigner, isn't quite worthy of his talents. 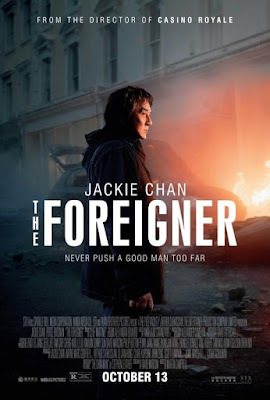 Chan stars as Quan Ngoc Minh, a Chinese immigrant living in Britain whose daughter is killed during a terrorist bombing carried out by a rogue offshoot of the IRA. Trained by US Special Forces during Vietnam, Quan decided to use his skills to track down the men who murdered his daughter and make them pay. This leads him to Liam Hennessy (Pierce Brosnan), an Irish politician and former IRA member that Quan believes can lead him to the terrorists. As Quan begins to make life hell for the seemingly oblivious Hennessy, he begins to unravel the tangled truth about the terrorists' high-level connections, and an ultimate goal that is less about the reunification of Ireland and more about political gain. 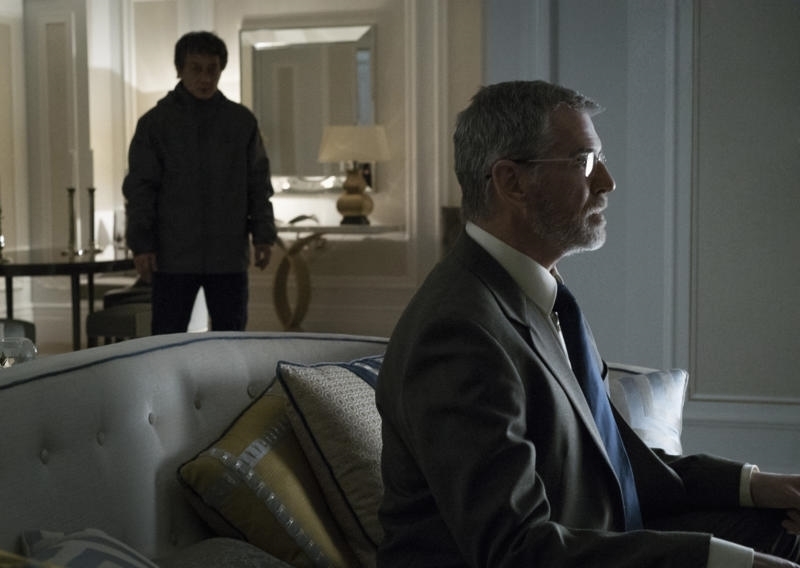 The Foreigner vastly underutilizes Chan, focusing instead on Brosnan's embattled MP. The highlights of the film come when Campbell lets Chan loose, but the action scenes are few and far between. They may be brutal and bruising, but ultimately leave little impact. Chan is fantastic as Quan. His lined face and graying hair betray his age, but he is filled with the grim, resigned determination of a man who has seen it all. The film around him, however, doesn't seem to know what to do with him. Relegating him to the background when it's his quest that give the film its heart. This is a strangely dull, inert film from the man who directed Casino Royale. Its lethargic pacing doesn't suggest the urgency of the plot, sagging and dragging when it should be sprinting. Chan commands the screen without saying a word, but the film gets lost in its dreary grays and sterile personality. If it wants to be Taken in Ireland, it fails miserably, turning its focus away from its most interesting character. Brosnan is solid, but his character lacks the emotional core of Chan's. By making him the focus, The Foreigner gravely misjudges the story's heart, resulting in a lackluster, mediocre film without a soul. THE FOREIGNER | Directed by Martin Campbell | Stars Jackie Chan, Pierce Brosnan, Katie Leung, Charlie Murphy | Rated R for violence, language and some sexual material | Now playing in theaters everywhere.